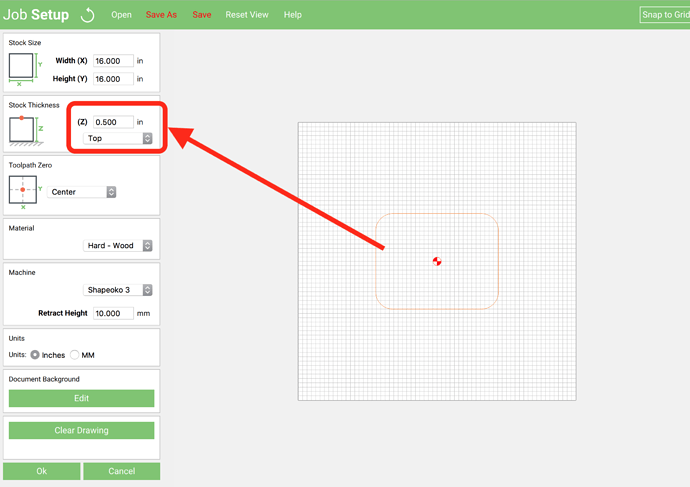 Using Carbide Create with Shapeoko XXL. If I make my Z part zero in CC would my cut depths be put in as negative or maybe my material thickness would be negative. Your title comment is a little different than your question (lacking the word bottom), so I m not 100% sure what the question is. 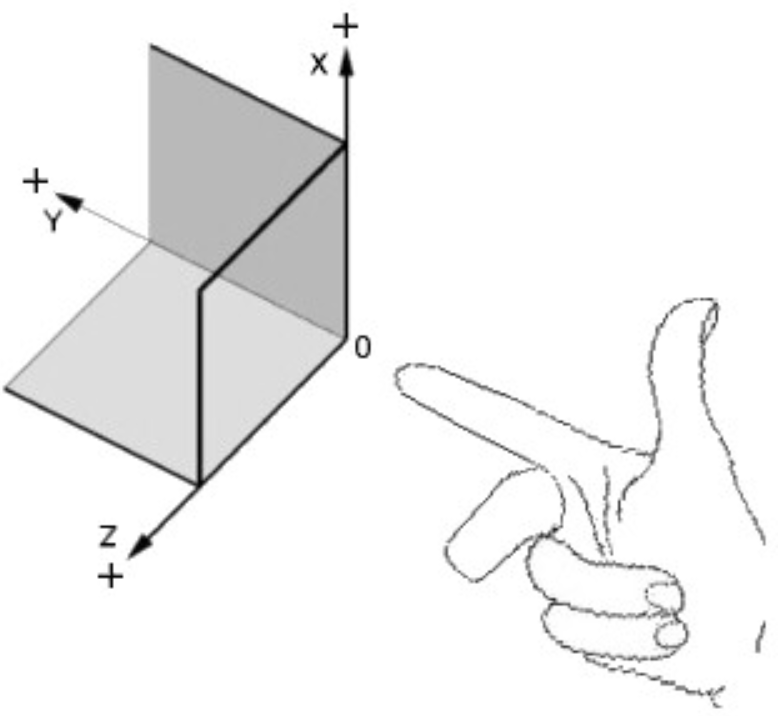 Here is the general rule that I teach: Look up the right hand rule to CNC Axis direction. Z-Axis: (Thumb) Up is positive, Down is negative. Set the Z to the bottom of your part, ALL your Z values will be UP, so they will be Positive. Set the Z to the top of your part, Z’s below the Z0 will be negative, Z’s UP will be positive. It should have said part zero at the bottom in my comment as well. What I get for using phone instead of computer. Yes your diagram makes since, but where now I put in I want to cut .5 deep into my part when part Z zero is at the top how would I put that in if part Z zero was at bottom? Would I give the part a negative thickness number? If i don’t change anything and the Z zero is at the bottom would it cut into my waste board 1/2. Or becuse i select part bottom zero in CC does CC know that my cut will start from the thickness of the part I entered. 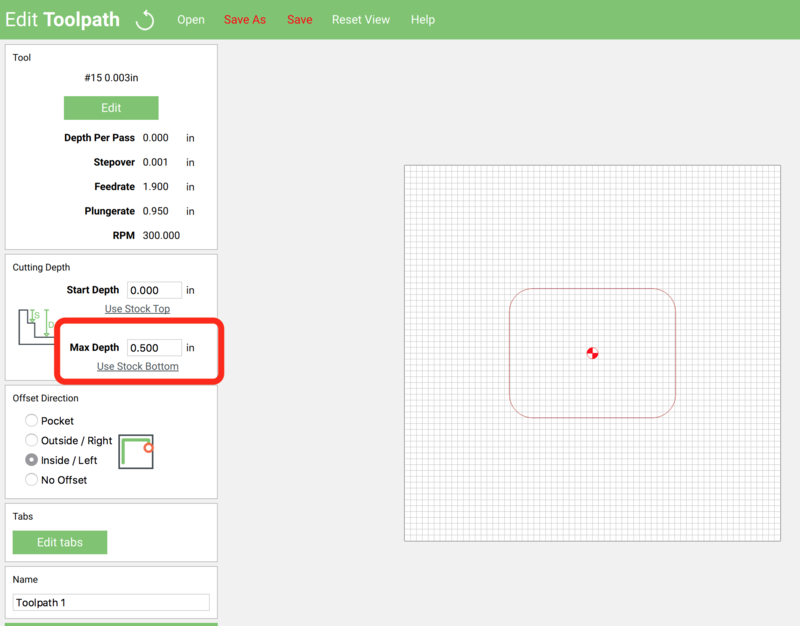 Please attention to the areas that address the material (Part) Thickness, AND Max Depth. This will address your question/concern. Short version - when setting “Zero” you’re just setting where the start point is on the machine. 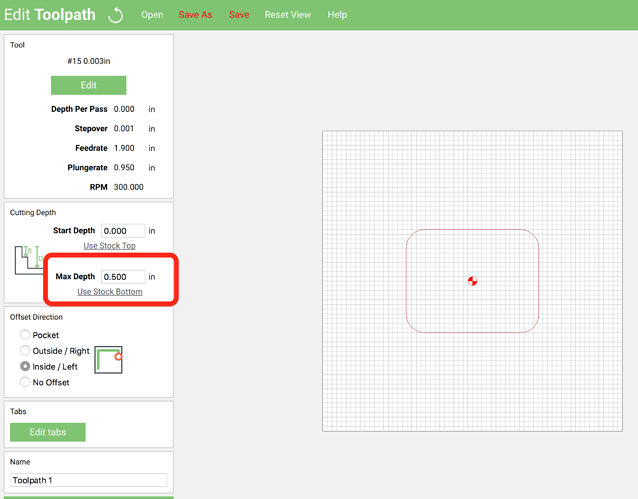 When you set the thickness of material, “depth of cut” and so forth, it’s just what you would expect, they’re positive, the CAM software takes care of making everything properly referenced. Thank you. That’s what I was looking for. I’ll run a dry run above the part before cutting.